The highest quality universal digitising adapter on the market, with a double phone grip system for added stability in harsh conditions. Accepts any phone, in or out of a case. Fits on any round eyepiece. Can be readjusted for a different phone in 5 seconds. Ideal for guides and professionals looking for lifetime construction in more challenging conditions. 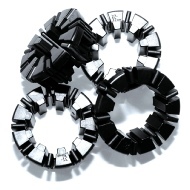 Note: Compression rings included for eyepieces from 39mm to 60.75mm in diameter. Connect your camera to any eyepiece using our T-Mount Digiscoping Adapter via the lens filter threads. Simply select the filter ring size in the drop down menu. Direct Eyepiece Projection Style Adapter eliminates the lens for the ultimate in compact lightweight digiscoping. Mount your Nikon camera directly to any spotting scope or binocular for perfect alignment. The anodised aluminium shell and Nikon bayonet fittings mean the adapter fits and works just like a Nikon lens, simply remove the lens and twist on! The polymer compression ring ensures a perfectly centered image as well as a mar free interface to the spotting scope, a simple twist and it is locked on! The double sided, anti-reflection coating on the clear glass filter provides protection against dust or water entering the camera body at all times. 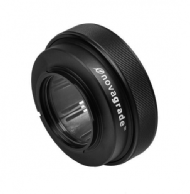 For eyepieces smaller than 39mm in diameter the Small Compression Ring Set will provide a perfect fit. Whether for your microscope, telescope or small binoculars the injection molded polymer rings will grip your eyepiece securely. Compression Rings work with ANY Novagrade Adapter.